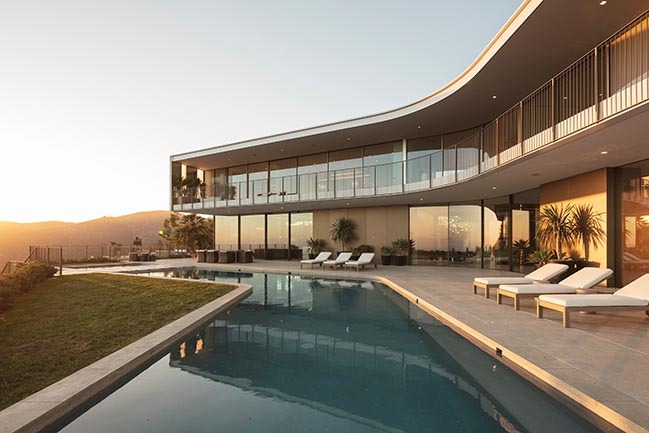 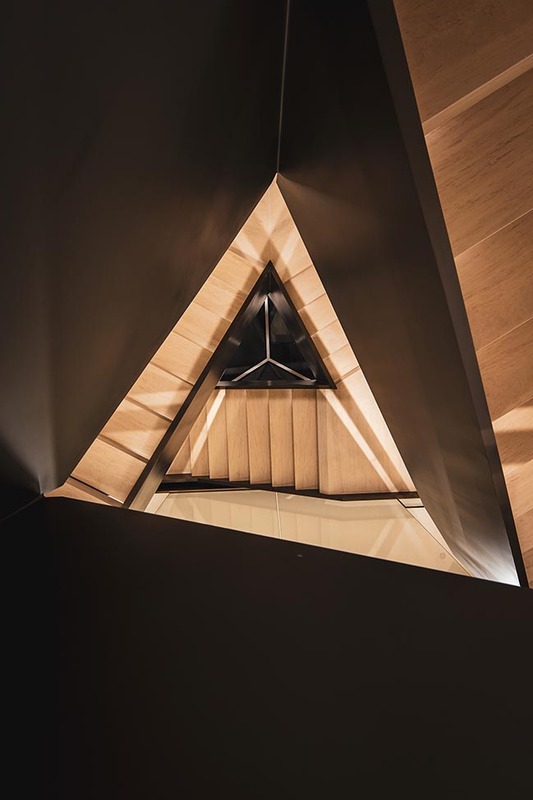 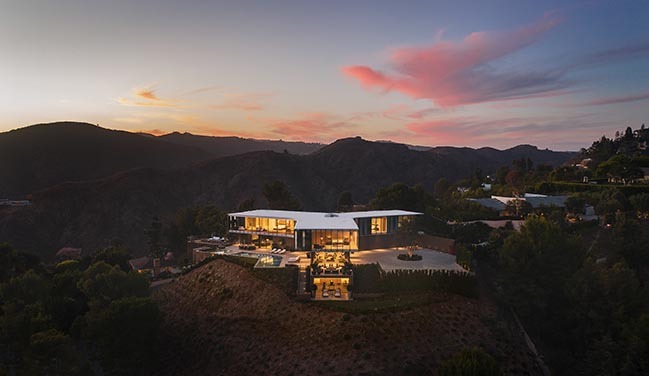 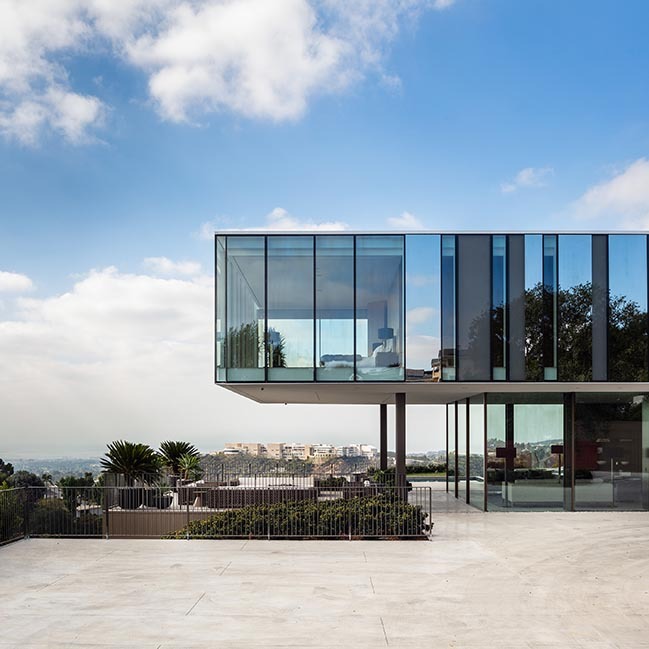 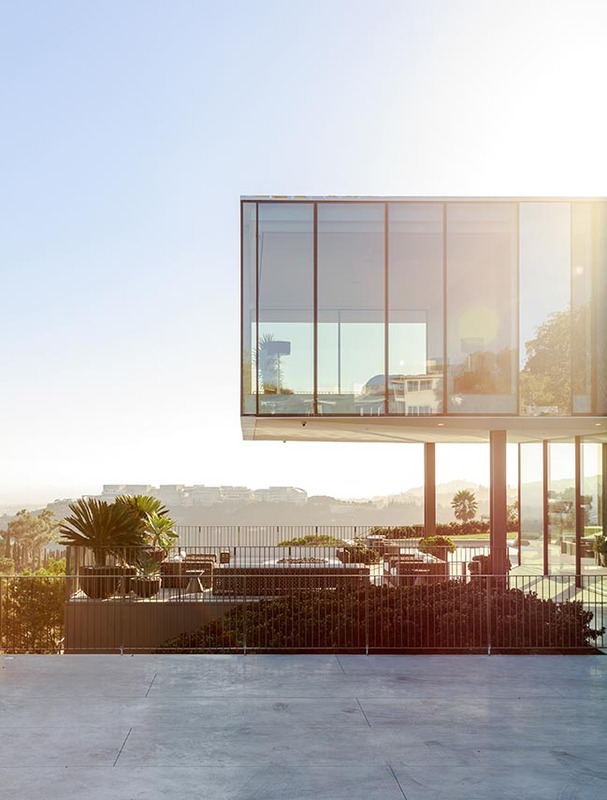 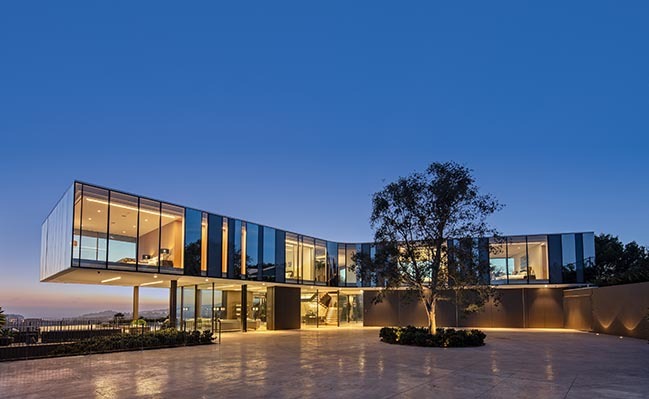 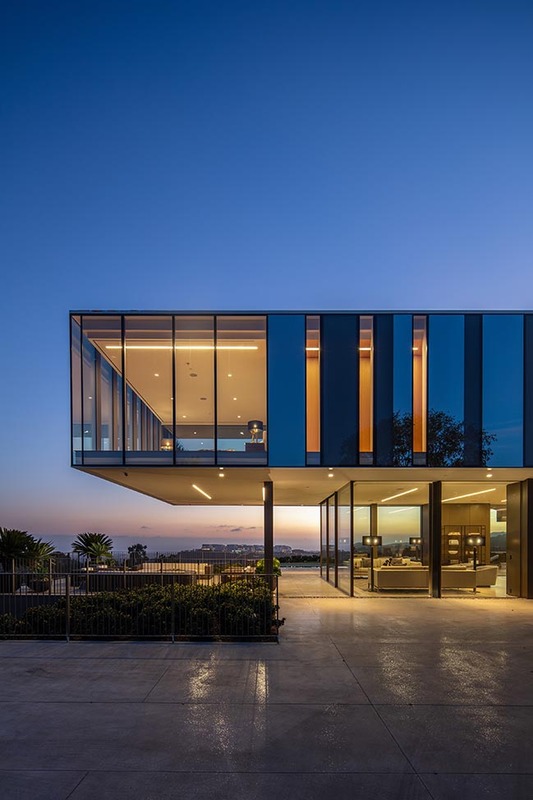 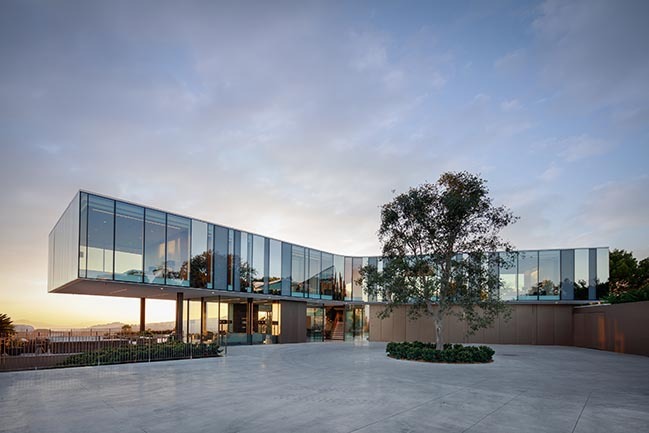 From the architect: SPF:architects (SPF:a) is pleased to announce the completion of Orum, a three-level, 18,800-square-foot home designed to subtly “float” above its hilltop environs. 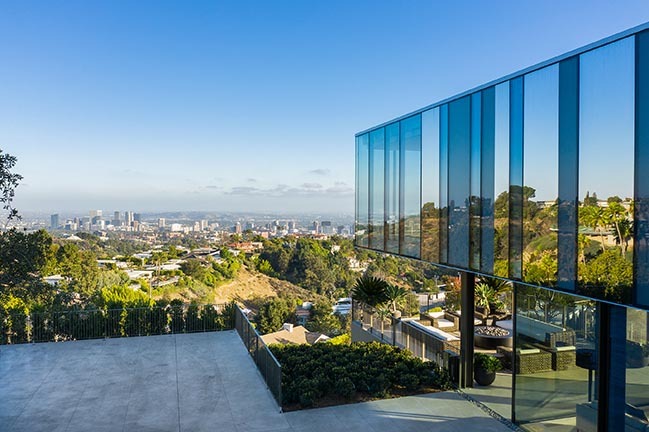 “In spite of the scale, I feel we were able to achieve a home that is both warm and functional,” says Pali. 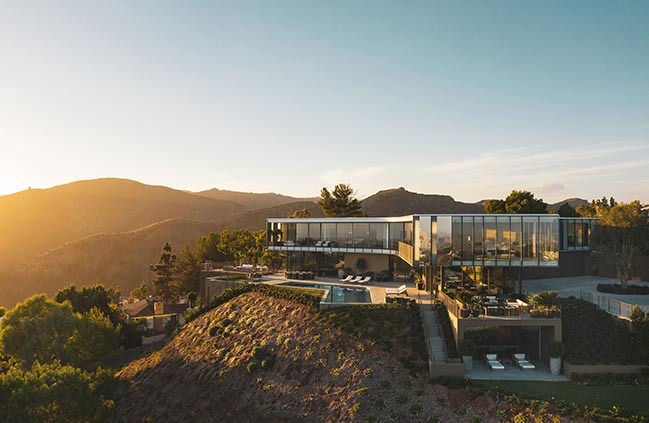 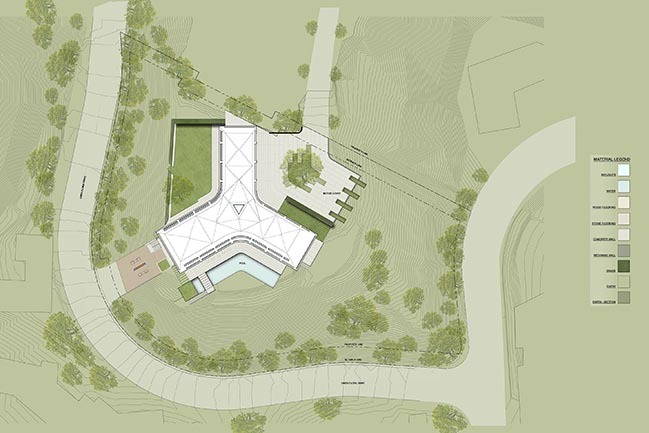 As a whole, Orum rises two stories above ground with its third floor burrowed into the hill. 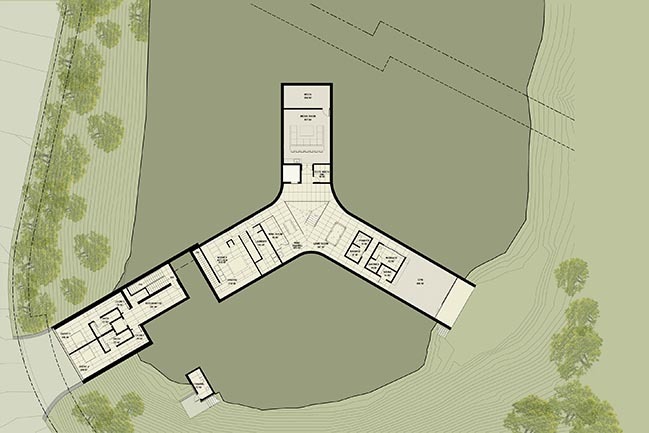 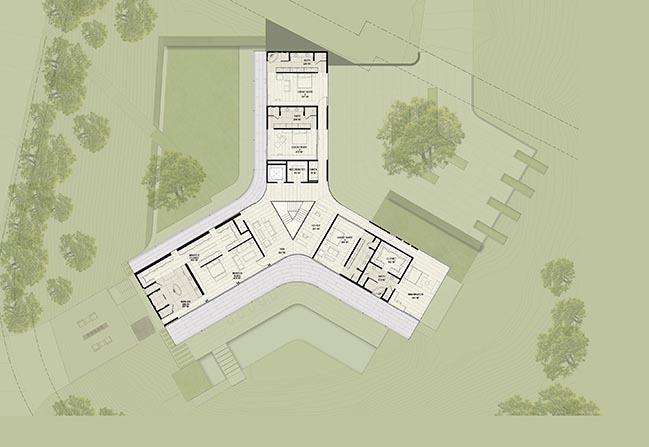 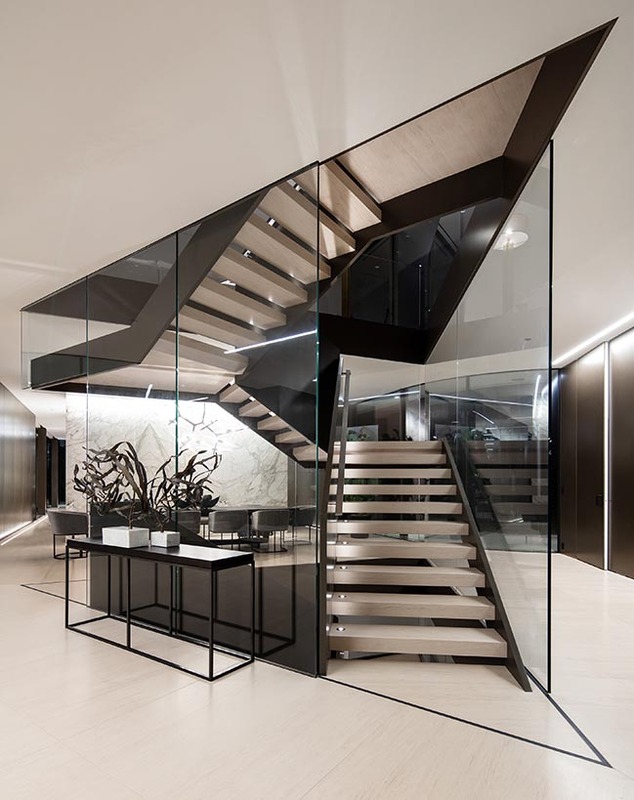 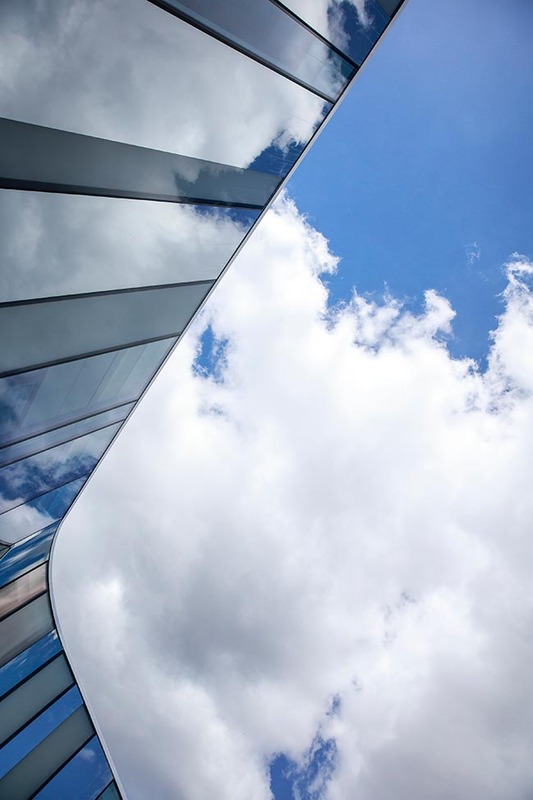 Programmatically, the residence has been split into three levels each consisting of three wings. 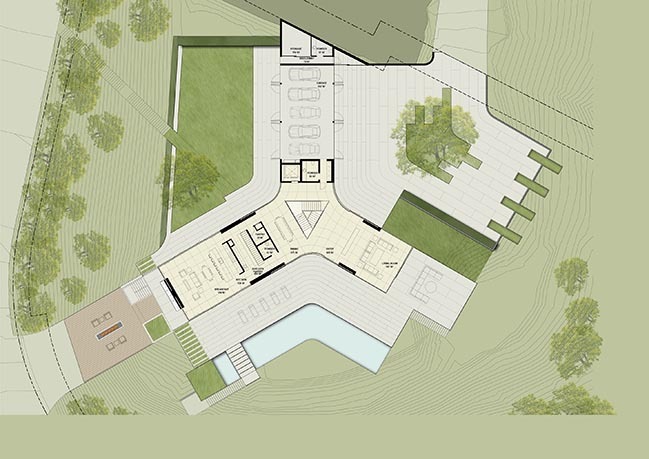 The ground floor provides the entry and communal spaces for gathering, while the top floor is dedicated to the home’s private spaces. 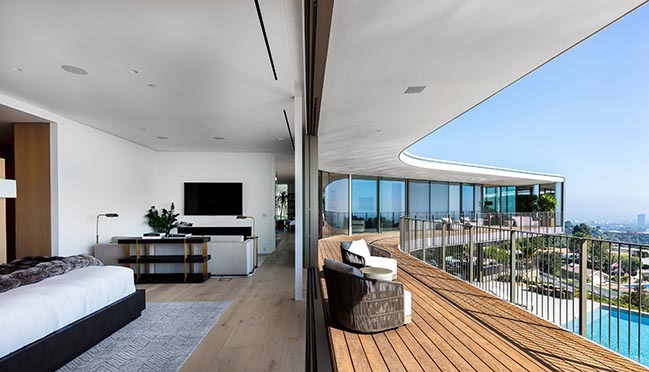 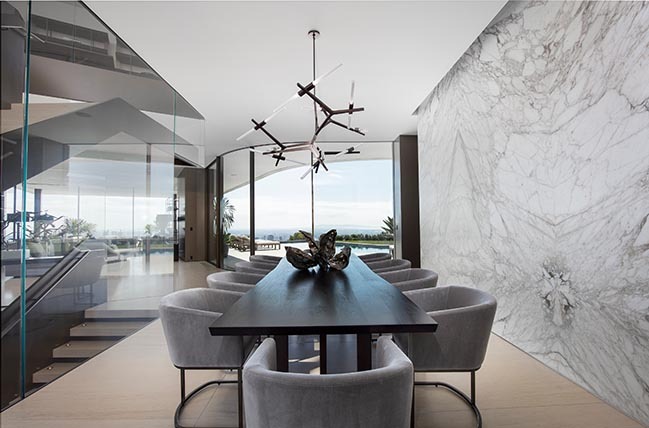 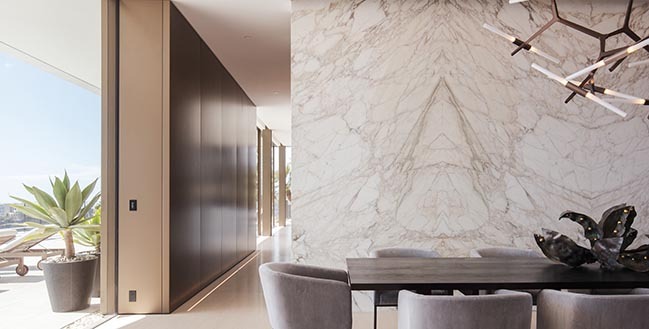 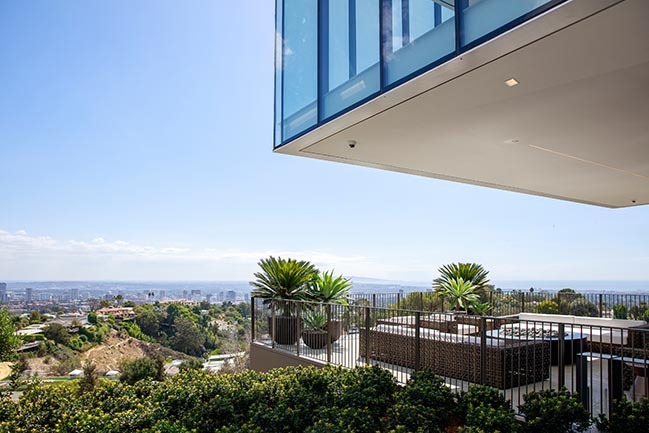 The upper southwest and southeast wings of the home hold the master and mini-master suites, both of which are afforded 270-degree views of the city and ocean, thanks to their slim profiles. 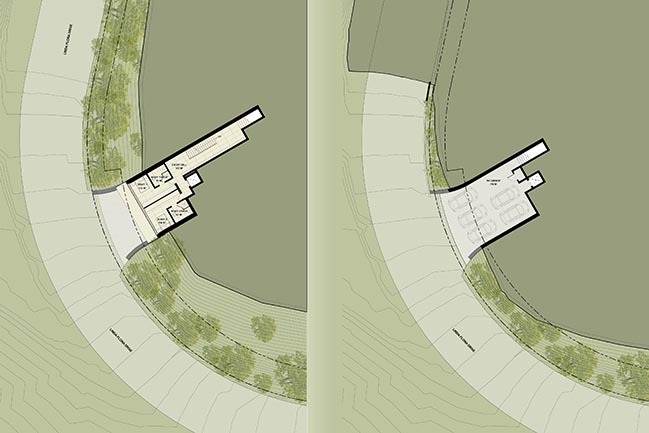 In contrast, the two smaller bedrooms contained within the northern wing and embraced by the site’s adjacent hillside and rear garden, giving them an intimate feel akin to a tree house.